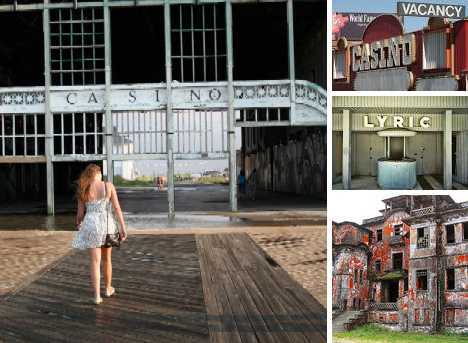 At these 10 abandoned casinos, the high rollers are laying low, the cards are all jokers, the wheel’s stopped spinning and the dice have all thrown snake eyes. The Penthouse Adriatic Club casino was the centerpiece (or should we say “centerfold”) of the Haludovo Palace Hotel, located on the Croatian island of Krk. Opened with great fanfare in 1972, the casino was the brainchild of Penthouse magazine founder Bob Guccione who invested a cool $45 million in the project. Perhaps he should have stuck to ventures of the soft-focus and soft-core nature. Rumor has it the late Iraqi dictator Saddam Hussein and his family vacationed at the hotel/casino at least once – his return flight to Baghdad was delayed because one of his sons forgot his gun under the pillow in his room. Good times! 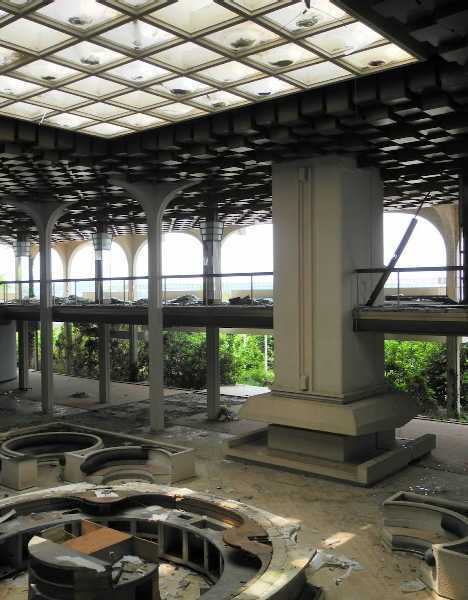 In any case, factors including the rise of the internet and the Yugoslavian Civil War conspired to constrict the Penthouse Adriatic Club casino to the point where it was closed, neglected, used to house war refugees and finally abandoned. “Overlook,” as in The Shining? That’s Niki Feijen’s story and he’s sticking to it. Feijen’s spectacular photos of The Overlook Hotel posted to his photostream include the one above, purportedly depicting its 12-years-abandoned casino. 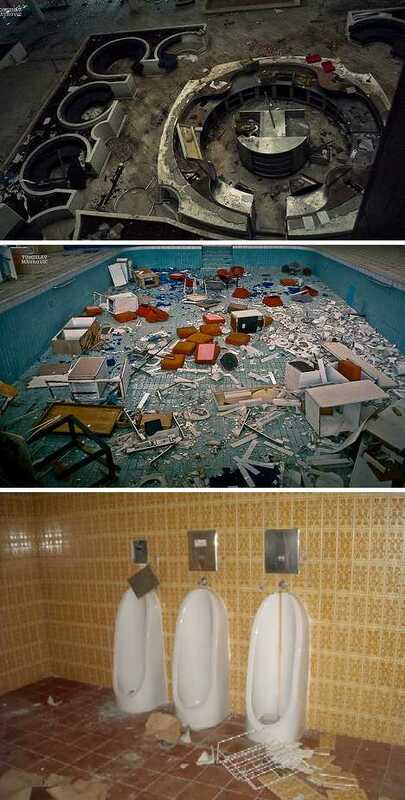 Black Jack was here, and blackjack was played here. 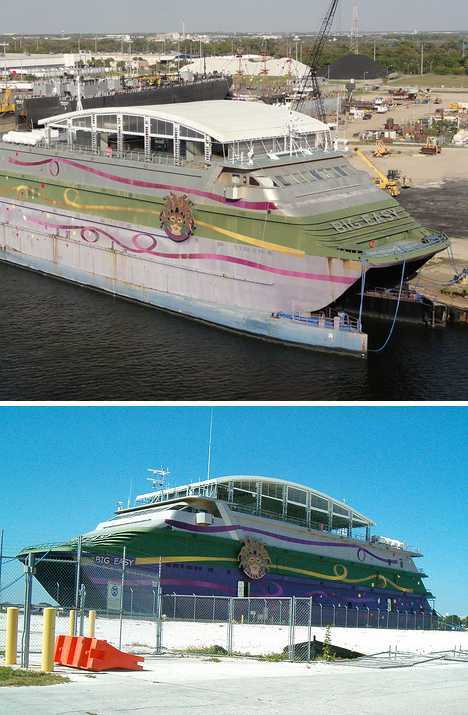 Name regardless, nothing’s been easy for The Big Easy casino boat. 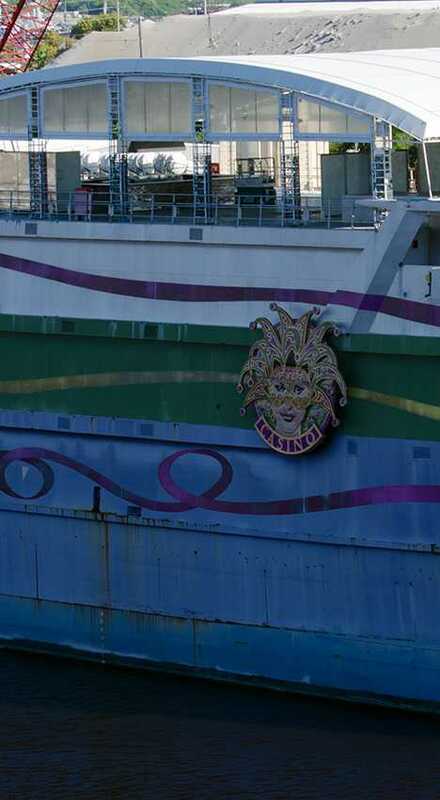 The 238-foot long New Orleans-themed ship was built around a 30,000-square-foot casino boasting 23 gaming tables. One wonders if the wind and waves would affect the motions of the roulette wheel, the dice or the slot machines… actually the question is moot because The Big Easy has spent much of its life unoccupied, dodging hurricanes, docked at various Florida ports. Delayed by bureaucracy first, ferocious weather second and Chapter 11, er, eleventh, The Big Easy has been a sad story of fading dreams and fading paint, the latter unattractively accented by dust, rust and debris. It seems that banking on a floating casino in a region prone to devastating storms may have been just too much of a (removes sunglasses)… gamble. Yeaaah! !